Max Francis Quality Floors is a family business with 25+ years’ experience in the floor sanding and floor polishing trade. 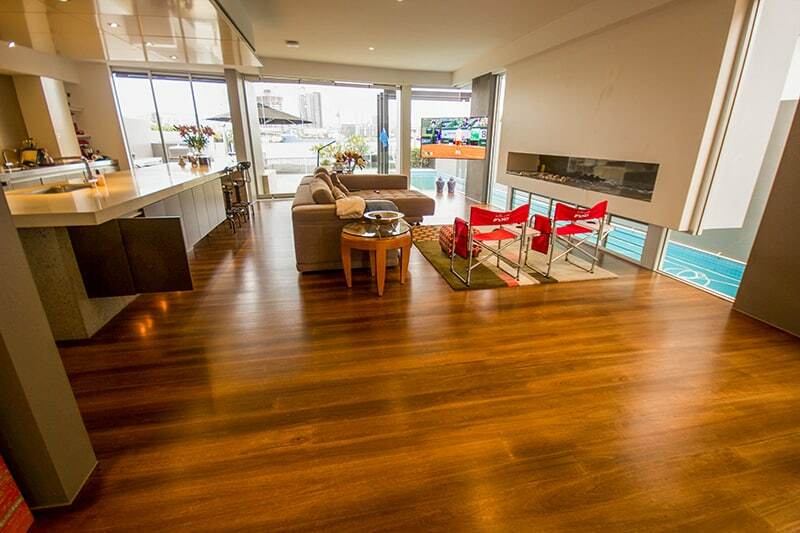 Our timber flooring experts offer in-person floor quotes to all Brisbane homes and businesses. Got any questions? Contact us and we’ll be happy to help! Not every floor will accept a high gloss finish, so I will guide you through the different finishes that are available. * Varies with weather conditions and product. Full curing may take a longer time.# Edge bonding relates to the finish acting as an adhesive and bonding board edges together. When board shrinkage occurs, this can result in a wide irregularly spaced gaps at board edges or splitting on boards. The sanding operation will vary based on the condition of the floor and the hardness of the floor. Where the floor is being sanded for the first time, the sanding process is made up of a number of separate sanding stages, which generally start with a coarse paper and progress to a relatively fine grade of paper. It should be noted that the sanding process is effectively scratching off the surface of the boards, and the reduction in grades of paper means that you start with a severe scratching action and finish with a more subtle scratching action. The level/basic sand, as the name suggests, is to cut the boards level, taking out any ridges or high points in the floor. It typically comprises of three passes with the sanding machine. The level or basic sanding procedures that follow this step are designed to remove the sanding scratches generated by the first step. The floor will typically have a slightly rough feel to it after the first coat of finish depending on the system used and the degree of grain raise of the timber created. It is normal for more open grain timbers to exhibit a higher degree of initial grain raise than denser close grain species. The floor requires a light sand after the first coat to remove this roughness and to also key the surface for the next coat of finish. A 150 or finer grit paper or screenback is used at this stage with a rotary sander or similar. It is imperative that the sanding does not expose the timber as this will create further raised grain. The sanding process is required to smooth off the roughness in the coating, not the timber. Edges must be hand or orbital sanded to a similar smoothness. All dust should again be thoroughly removed from the floor along with any potential dust traps as previously described. Ensure that there are no draughts blowing through the area that could contaminate the final coat(s). 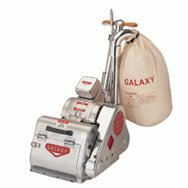 In addition it may be prudent to use a tack rag over the floor to remove any dust missed by the vacuum. This will ensure that the floor is as clean as possible for the final coat(s). The floor should again be edged with a clean brush coming out at some 150mm or more into the body of the floor. The application process is as per the first coat with the applicator being worked along the full lengths of the boards and lightly feathered at the outer edge of each strip of application. Any additional coats shall follow the same process of light sand of the previous coat, thorough cleaning and application of the coating. Typically a three coat system is utilized, however all manufacturers recommendations should be followed in regards to number of coats and sand paper grades, in addition to any requirements of the specifier. Various water and oil based coating systems require a light grit of paper between coats as compared to the solvent based products. The sapwood of many hardwoods can be much lighter than heartwood and some boards may contain both light and dark colours. Even within a single species and within individual trees large colour variations can occur. The age of the tree can have a significant influence on the colour with younger timber often being lighter than a more mature timber. The product supplied may differ in colour to showroom samples and this should be discussed with us. Lyctid susceptible sapwood of some hardwood species e.g. Spotted gum is required by some state legislation, including Queensland and New South Wales to be preservative treated. Some treatments may impart a brown or grey tinge to sapwood, while boron preservative is non-colouring. LOSP treatment is also used. In this instance H3 treatment may be used in lieu of H2 treatment to avoid the coloured dyes often used with H2 LOSP treatments. The character of the floor is influenced by the species characteristics and therefore the grade. Grading is a process that sorts boards according to the number and size features present (e.g. gum veins and knots). Hardness indicates a species’ resistance to indentation and abrasion. Damage to timber floors may occur due to continual movement of furniture, heavy foot traffic and in particular stiletto-heel type loading. The selection of a hard timber wood species ensures improved resistance to indentation and abrasion. Soft timber species, if used in feature floors can be expected to indent. 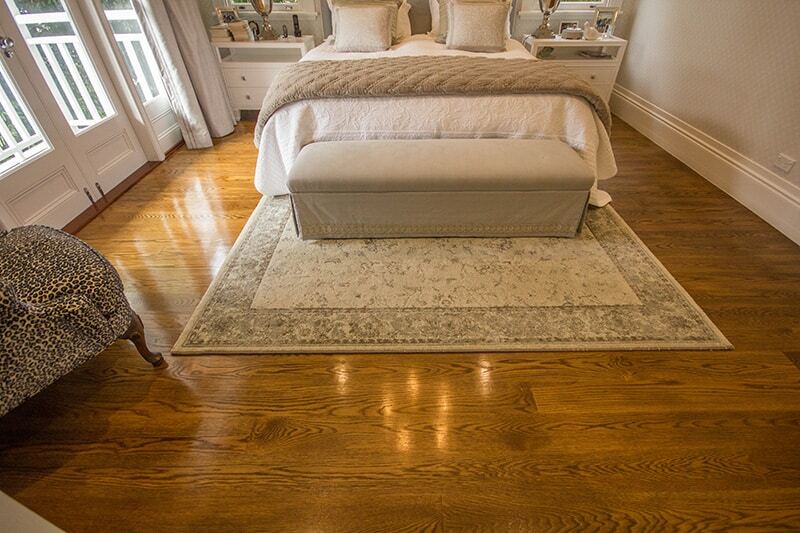 Floor finishes will not significantly improve the hardness of timber flooring. In some species younger growth material the hardness can also be much lower than mature timber of the same species, but this varies from species to species. 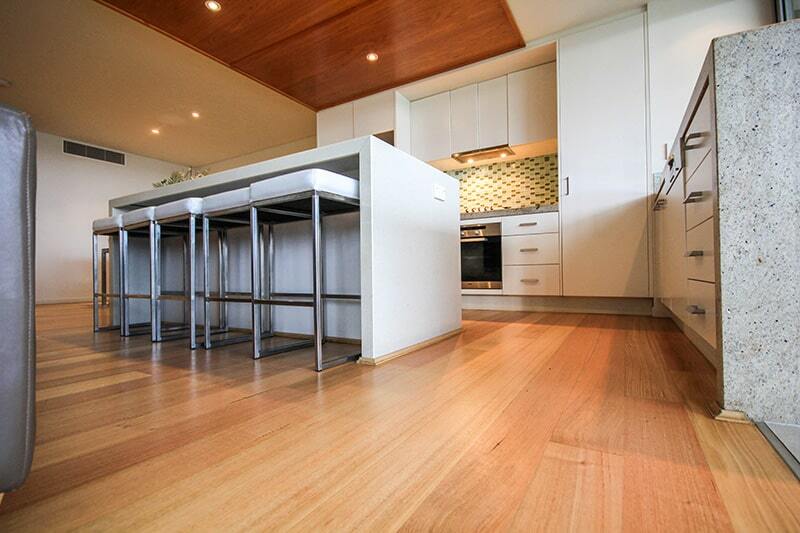 Contact us for a quote on the sanding, polishing, finish or renovation of your timber floor!